This summer, journey to North Africa for Oasis Festival, a desert paradise rising from the dunes in Morocco. Taking place from 15th-17th September at luxury music resort The Source in Marrakech, world-class acts including Maceo Plex, Marcel Dettmann, Moodymann, KiNK, Karenn, Charlotte de Witte, Jeremy Underground, Chloé and more will all perform against the stunning backdrop of the nearby Atlas Mountains. 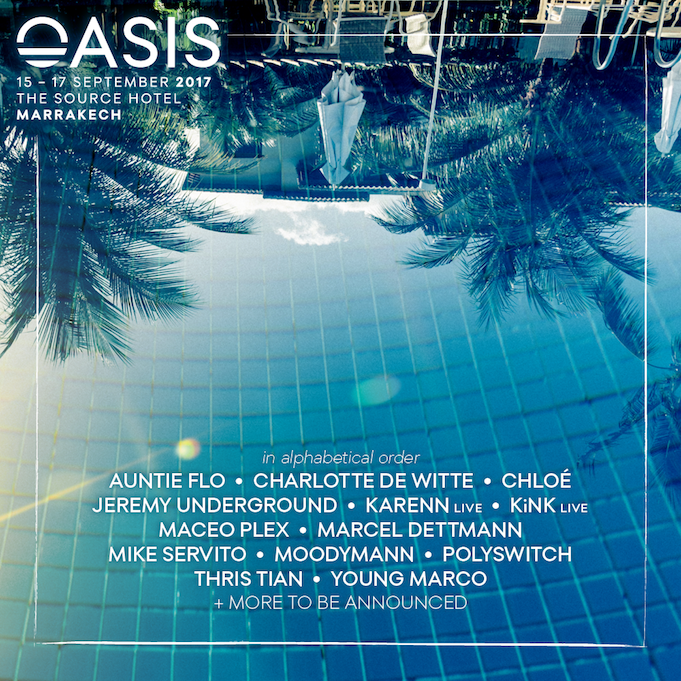 Maceo Plex will co-headline Oasis 2017. The Ellum label founder has risen through the ranks to become one of today’s most in demand DJs. 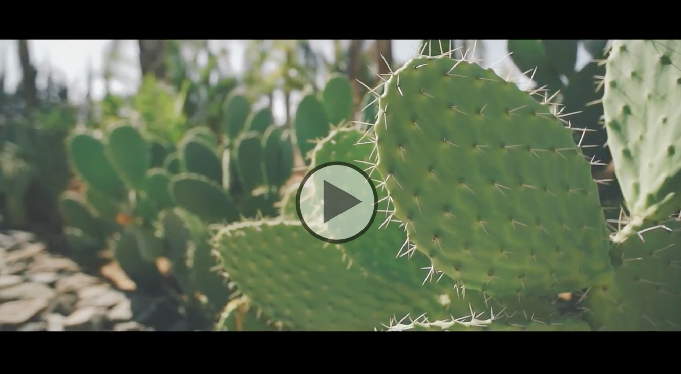 Following residences at influential Ibiza club nights Circoloco, ENTER. and HYTE, he finally launched his own season-long residency ‘Mosaic By Maceo’ at Pacha Ibiza in 2016, which proved to be one of the biggest nights on the island. His set at Oasis is guaranteed to be a true festival highlight, packed full of quality dance floor cuts. Berghain resident Marcel Dettmann is set to deliver a masterclass in techno to Oasis revellers when he makes his festival debut this September. One of the scene’s most renowned DJs and producers, Dettmann has become something of an international ambassador for the Berlin techno scene, bringing his thundering DJ sets to revered clubs all around the world. Detroit DJ and producer Moodymann has been putting his soulful stamp on house and techno since the early 90s. Releasing on labels like Peacefrog, Planet e and his own imprints KDJ and Mahogani Music, the Motor City selector has been responsible for some of the underground scene’s most definitive tracks. Discover why his DJ sets have become the stuff of legend as he takes control of the turntables at Oasis 2017. Bulgarian hardware maestro KiNK, one of dance music’s most enigmatic performers, brings his phenomenal live show to the main stage this September - an absolute must-see. Fellow hardware aficionados Karenn, the dynamic pairing of Blawan and Pariah, will deliver a spattering of their raw techno sounds in what is sure to be a another captivating live performance. Other acts making their way to the Red City include Mike Servito, resident at prestigious Brooklyn techno night The Bunker, French DJ and producer Chloé, eclectic selector Auntie Flo and My Love Is Underground founder Jeremy Underground. Completing the first wave of artists announced today are Dutch DJ Young Marco, rising Belgian artist Charlotte de Witte, Worldwide FM host and Boiler Room co-founder Thris Tian and Polyswitch, one to watch from Morocco’s blossoming house and techno scene. With sun-drenched days and starlit nights soundtracked by an impressive league of house and techno talent in the luxurious surroundings of The Source, complete with stage-side swimming pools, daily yoga, intimate dancefloors, lush gardens and stunning views of the nearby Atlas Mountains, Oasis brings a slice of festival paradise to Marrakech. 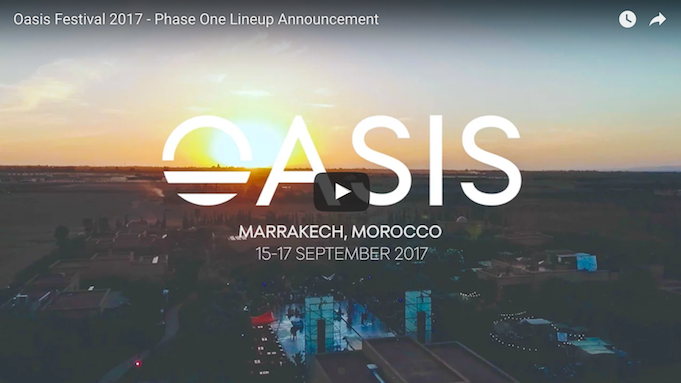 Oasis 2017 will take place from 15-17 September. Book your place and keep up to date with all of the latest news at theoasisfest.com. Packages (inclusive of 3 nights hotel and festival wristband) start from €306 EUR + BF.